Random postings from a girl trying to learn all sorts of lovely home making skills. I hope that you will all come and check it out :) it is brand new but I have lots of post ideas to come! I don't think I have ever introduced these three sponsor children to you. I know that I certainly meant to as they are just so sweet! Antares is a sponsor charity that works with children in some orphanages in Kazakhstan. It is wonderful! I sponsor 3 children with them and, even as a newish sponsor, you wouldn't believe how many photographs I have received of them so far. Antares has a mission and that is to make a difference in the lives of the children in the orphanages. Their priority is the children and sponsors have to commit to writing to any children that they sponsor. This is key! These children need to know that there is someone out there who cares about them, who is interested in them, and who is proud of them. The children don't have to reply and write letters but you get a photograph of your child with every letter you send. So if you write once a month you get 12 photographs a year. That is amazing! Especially when you consider that some organisations only send a new photograph every 2 years. It really helps you to feel close to the children! Aleksandr is such a sweetheart and writes lovely letters! He is in his last year at the orphanage and hopes to go to college. Almagul is a lovely girl who likes maths and chess so she is very bright! She likes crafts and is learning English. Katya is cute and sporty! She loves books and school and drawing. Her letters are so enthusiastic and her character really comes across! 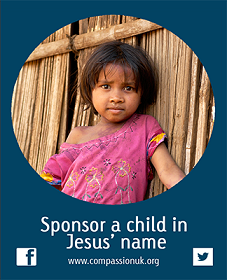 Sponsorship with Antares is $10 a month ....... for all three children! I still find it amazing but it isn't a charity that is out to make money. They want as many children sponsored as possible so that they can receive encouragement and support through the letters that their sponsor sends to them. There are also a few opportunities through the year to send the children on trips. So far there has been a trip to a book store and also a holiday shopping trip. The holiday shopping trip was a fab idea! Postage to Kazakhstan is expensive so it makes a lot more sense to send the money direct plus the children then get to pick what they want! Overall I can't recommend Antares enough! The volunteers are amazing and always willing to answer questions. Even though I have A LOT of questions! The turn around time on letters and photographs is pretty wonderful too. Just a few random updates that don't warrant their very own post! I really enjoyed cooking the beef stew and dumplings and am excited to try more recipes. It is super fun to look through the cookery books (especially my new ones!) to figure out what to make next! I have convinced my parents to dig out their slow cooker as it has been at the back of a cupboard for quite some time. Maybe something with chicken next or perhaps Quorn so my mum could have some too! I also ordered a new casserole dish .... it is red, made of cast iron, and can be used on the hob and in the oven. How handy! I can't wait for it to arrive! Is anyone else a little bit in love with Pinterest? Hopefully it isn't just me! I think it is pretty wonderful and it is a much tidier update to a folder filled with magazine clippings! My Pinterest is here and it is about as random as this blog! I watched Kirstie Allsopp's television programme called Kirstie's Crafty Christmas and loved it! I even watched it on repeat .... a few times! She made various things including mince pie popcorn, glitter baubles, and cheesecake. Most exciting though was discovering that pom pom makers exist! No more faffing around with cardboard circles! After watching the programme I decided that my life would not be complete without a few of my own. They are such pretty colours too! I noticed recently that I wasn't seeing updates from pages that I had liked. It turns out that you have to select "get notifications" under the "liked" button otherwise the updates never appear in the main news feed! I had thought it strange that I wasn't seeing the new posts from blogs that I follow on there. The main reason I liked the pages in the first place was that I wanted a bit more positivity on my news feed. Glad to have them back now! A friend bought me this adorable squirrel just because. I think technically it is a Christmas decoration but this one is staying out all year! I love fluffy little creatures! I have been looking at seed catalogues. Helpfully they appear by magic through the post! I don't need many seeds or plants this year as I have quite the seed collection built up as so many magazines had free packets on them. I would quite like a new fruit tree as one of mine died last year. Luckily it was one of the teeny tiny ones! More organisation is needed in the garden this year. Maybe a nice and cohesive list and perhaps a little calendar so I know exactly when I have planted things and when they need to be picked. I really need to get the hang of successive planting too as I planted too much at once last year and we were over run with courgettes and runner beans! Cooking Update - Beef Stew and Cheesy Herb Dumplings. I said I would post updates on my New Year's Resolutions so here is the first one! I made beef stew today and decided to add cheesy herb dumplings to it. I had never tried either recipe but it turned out pretty well! It is quite tricky to figure out what to cook at home as, although my dad will eat most things, my mum is a vegetarian, and my brother can't eat due to his condition. My mum is being really supportive of this goal so made Quorn stew and had some of the dumplings I made. She is also being very patient! I didn't stick to the recipes I read ..... I never do! I always faff and make little adjustments and alterations even when it is the first time using a recipe. Probably not the best decision! Preheat the oven to Gas Mark 3. Put the casserole dish on the hob (check if your dish is suitable!) and heat up the oil. Add the beef and brown all over then remove from the dish and put to one side. Add the vegetables to the dish and stir in the flour until it is evenly mixed. Cook the vegetables for around 5 minutes. Add the beef, stock, redcurrant jelly, salt, and pepper and bring to the boil. Cover with the lid and cook in the oven for 2 hours. Place the flour in a bowl and stir in the suet, cheese, and herbs. Mix in enough milk to make a soft dough. Divide into 8 equal pieces and roll into balls. Remove the lid of the casserole dish and place the 8 balls on top of the stew. With the dish uncovered, return to the oven and cook for 30 more minutes. The dumplings were nice but fell apart quite a bit so perhaps the mixture was a little too dry. Also I cut up the potatoes into pieces that were far too small and they had practically disappeared! Happy New Year to you all! I hope that 2014 brings you peace and prosperity! I truly appreciate all of my readers and the time you take to post comments and share your thoughts! I have been working on my resolutions for a little while and finally have them categorised and in some sort of order. 2014 feels like a new start but really every day is a new start and a chance to try again and to try harder! I thought I would share my aims for the coming year as there aren't that many of them and hopefully making them public will make me check my progress and report back! Time with God - I really need to get back into a regular routine of waking up and spending time in God's Word. I always feel so much better when I do! It really has a positive influence on my attitude during the day. I really need to work harder at keeping my focus on God and not letting life and stresses distract me. I need to trust more in God's plan for me and really need to work on being more content and comparing myself less to other people. Influences - I will be cutting out any books, magazines, television shows, and films, that are not either encouraging, educating, or wholesome entertainment. I am cutting out the grey areas! Those things that I sort of justify to myself while knowing deep down that they are not a positive influence on me. A lot more discretion is needed in this area! 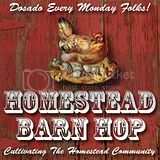 I have magazines such as Keepers At Home, the King's Blooming Rose, and Shining Stars Magazine as well as a lot of books both fiction and non-fiction plus DVDs such as Homemaking 101 and the Homestead Blessings DVDs so I am not lacking in this area. I just need to resist the temptation of those forms of entertainment that glamorise rebelliousness and a lack of faith. Character - This will include not battling against what God designed me to be. Rather I will be embracing my feminine side and my feminine role. I have been doing this previously but not with any conscious effort as I have just done what has come naturally to me. I will be working on qualities including patience, charity, kindness, modesty, submission, and humility. I fully expect to fail .... a lot .... but I will keep working! Health - I want to focus more on my health this year. My issue is that, when things get busy or stressful, my health drops to the bottom of the priority list. That is crazy! I finally figured out that if I take care of myself then I will be more able to take care of others. With my caring role at home this is essential! Organisation - I am going to be more mindful of what I spend my time on this year. We don't have an infinite amount after all! Many days I seem to be running about from the moment I get up until the moment I go to bed and yet there is so much that doesn't get done. I have a new diary on the way so I can keep track of all my commitments and also record any deadlines I set myself. Budget - I wasn't sure whether to put this under Life or Domestic! This year I have a proper budget that I am going to stick to. I have a little notepad and am going to record every penny I spend. I am not terrible with money, I have no debt, and carefully consider before buying anything "big" but I do tend to fritter money away a bit too easily. This is a weakness that I want to get under control. Cooking - I can follow a recipe but am not really confident at cooking. I have a new book to help me called Mary Berry's Cookery Course. Oh it looks amazing and Mary Berry is just wonderful! I have already picked out a couple of recipes to try including classic beef casserole, chicken and mushroom pie, and lemon drizzle tray bake. I really like that this book is proper home cooking and not fancy food! Sewing - I will learn to machine sew properly! The sewing machine makes me a little nervous but I will conquer it this year! I also intend to continue hand sewing and embroidery as I enjoy those but I am so slow! How lovely it would be to sew an apron and then embroider it! Maybe I will start with embroidering handkerchiefs! Letter Writing - Now that I am writing to quite a few people I am setting up a proper schedule. It didn't matter if the letters piled up for a little while before I replied before but now that I have my pen pals and sponsor children I end up with quite a pile to write to all at once! The plan is to reply within a week of receiving a letter. So these are my aims for the year! A lot of them seem to interlink and a big theme is not wasting. Not wasting my health or my time. I will probably post updates on here throughout the year to keep track and to keep myself motivated. A Sweet Letter From Jeni. 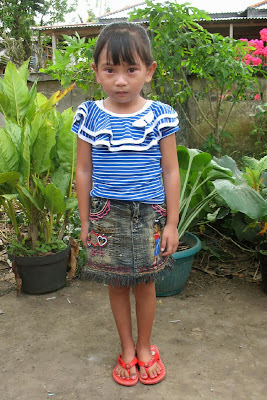 When I first started sponsoring Jeni with Compassion I sent two small financial gift to her. On as a gift for her and one as a family gift. I was so excited to get a letter from her and even more excited to read what they had spent the money on! "Hello, I'm so grateful to the Lord because I can write this letter for my beloved sponsor, Miss Jenny. Me and my family want to say thank you so much to you, who cares about me, even you sent me the gift, for me and my family. I bought school equipment such as school uniform, bag, books, shoes. The rest of the money is needed for helping my family build our house to live in. Right now the house is in the stage of preparing the brick. This is all because of your support. Please pray for the house so the build will be continued until it becomes a strong house for us. And I pray especially for Miss Jenny and family to be always blessed in health, jobs, and dreams, so our relationship will continue, and will be full of love and affection every time." I can't believe how much she managed to get for the money and it is just the sweetest and most touching letter! I LOVE flowers! Every now and then my brother will buy me some pretty flowers - almost always pink ones. He doesn't just give them to me though ... oh no ..... far more fun to have them delivered to where I work! He always asks if I cried when I saw them. Invariably .... yes! New Photographs of my Plant-A-Book Girls! Oh I was so excited to receive these photographs today! I really needed cheering up and then opened my emails to see THREE photographs each of Vivian and Kate. I had ordered some bits for both girls a while back on the Plant-A-Book on line shop and then put it out of my mind as it takes quite a while to get photographs back. I would drive myself (even more) crazy checking my emails otherwise! Vivian with her new dress and umbrella. Doesn't she look pretty! Vivian and the blanket she picked out. I decided to buy both girls books as a Christmas gift. Kate and her new blanket and wash cloth. Kate with her new umbrella! Love her smile! Kate with a wash bowl and her new fiction books. I am so grateful to see these photographs. Especially of Kate as her first photograph was quite worrying as she looked sad to me. So happy to see them both smiling! I'm an old fashioned girl trying to find my place in a modern world. I am trying to learn all the homemaking skills that I am so fascinated by whilst also working and studying as well as making my family my priority. I try to keep a Pollyanna mindset and to look for the good in every situation. Love my Sugar Pie Sistas!